Posted by wordsmithluwee on December 9, 2012 in Nurturing Nature, Profit with Purpose? The announcement of the artist pull-out and venue change came as the tickets for the show were practically sold out. The artist’s decision to switch venues in this one-night-only gig caused a bit of a logistical challenge to refund and re-issue tickets for both organizers and ticket holders, who had to physically pick up the ticket refund in one place and then get a new ticket in another place clear across the city. The ticket holders reacted with understanding, appreciation, and maybe even downright jubilation. Who is this performer who can elicit such a benign reaction from hectic city dwellers who loathe driving through heavy traffic? The artist is Sting and the concert is Back to Bass tour, Manila leg. With 25 years of critical and commercial success in music, Sting is one of a handful of performers whose long list of artistic achievements is matched by an equally long record of support for advocacies and charities. • victims of natural disasters. Another cause close to Sting’s heart is the environment. Sting and his wife Trudie Styler established The Rainforest Foundation in 1989 after they personally witnessed the effects of the destruction of rain forests in the Amazon on the lives of the Kayapo Indians living there. Their campaigning paid off in 1993 when an area measuring over 27,359 square kilometers was legally recognized and demarcated. The foundation has since expanded with three other organizations, which directly support projects in 20 countries to protect tropical rainforests and people who live in them. What has all this to do with the venue change? The original venue for Sting’s Back to Bass Tour December 9 Manila leg is the Arena at SM Mall of Asia, owned and operated by SM Prime Holdings. Their businesses include property management, banks, hotels, and mall operations. In April 2012 SM Holdings was planning to uproot 182 fully grown pine trees in Baguio City, Philippines to build a parking lot for their new mall, a move which had environmentalists and regular people in an uproar. 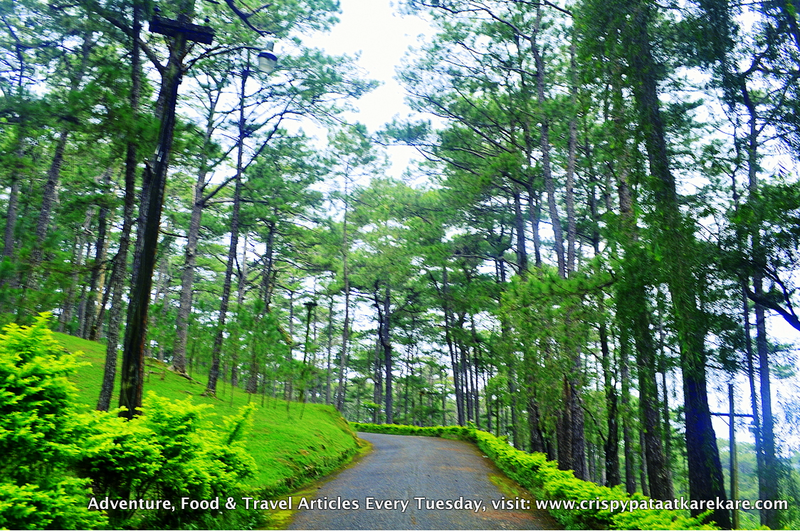 Baguio is a mountainous city with colorful flora and pleasant temperatures between 15 and 25 degrees centigrade. It is called the City of Pines because of the pine trees there which do not grow in other parts of this tropical country. At any given time, uprooting trees would raise concern in a nation plagued with flooding. Uprooting 182 trees would raise a big alarm. Earth-balling 182 fully-grown pine trees in the City of Pines released such loud gong-like clanging that sent opposition groups boycotting at several SM Malls and in social media sites. Representatives of the group, Project Save 182, wrote and reached out to Sting, and he responded supportively. His Back to Bass Tour which began in October 2011 and ends in December 2012 covers 68 cities in 4 continents. International artists regularly have concerts in Manila, some of them at the Arena. At around the time of Sting’s concert, Elton John, Jennifer Lopez, Chris Boti, and Century Band were also having their own shows. Aside from his worldwide popularity and the serendipity of the concert timing that coincided with the issue of the 182 pine trees, his known environmental protection advocacy is why the representatives of Project Save 182 chose him to reach out to. As part of the Symphonicity tour last year, Sting was slated to perform in Astana, the capital of Kazakhstan, to coincide with the city’s anniversary. Amnesty International informed him of the plight of the striking Kazakh gas and oil workers after a government crackdown. A day before his performance, Sting cancelled the concert. The reason: “The Kazakh gas and oil workers and their families need our support and the spotlight of the international media on their situation in the hope of bringing about positive change.” It is reported that the Kazakhstan government has since been paying large amounts to top level international PR firms to improve the country’s image. There are certainly people in Manila who are not happy with Sting’s decision to change venues. Some of them may simply find the original venue more convenient; this is not unfounded. Others may not be pleased with their adjusted seat assignments. More of them could be connected with SM Prime Holdings. There was no official reason given for Sting’s decision but the Huffington Post reported that the venue was moved “after singer learns of venue owner’s environmental record.” This decision is a sting in the concert revenue for Arena and a bigger sting to SM Prime Holdings’ reputation and corporate social responsibility efforts. Rather than the moves made by the Kazakhstan government, they will hopefully take lasting environmental and social solutions. SM Prime Holdings has the resources to do that. Which direction will they choose?